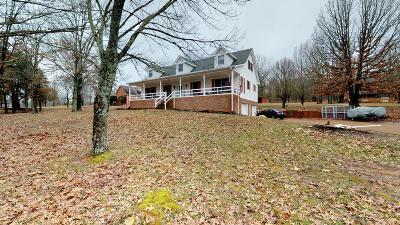 Great home on 2.33 beautiful acres in Mount Juliet, TN. Treed lot where a family of deer lounge in the front yard. 3,000+ sf home that is spacious. Big rooms and closets, lots of storage. Unfinished basement with more than 1500 sf for potential in-law quarters or apartment, covered deck and patio. New carpet throughout, new tile in upstairs bath and updated tiled shower in master.